It is believed that David McWilliams, then aged 39, was murdered on either 29 or 30 July 1998 by criminal associates. Information has been received that Mr McWilliams was shot and buried at an unknown location, possibly in the eastern region of country South Australia. The motive for Mr McWilliams' murder is believed to have been to silence him from boasting about his own and others involvement in the murder of Leo Daly, a criminal associate who allegedly owed money for drugs. The suspected murders of Mr McWilliams, Leo Daly, Robert Pendergast and 15 year old Juan Morgan are being investigated by Major Crime Investigation Branch under the title of Operation Jarrah. It is believed those responsible for killing Mr McWilliams are also involved in the murders of Daly, Pendergast and Morgan. The suspects for each of these murders are known to investigators however further information is required to provide further evidence that would lead to the charging and prosecution of these suspects. If you have information that may assist police in the disappearance of David, please call Crime Stoppers on 1800 333 000. 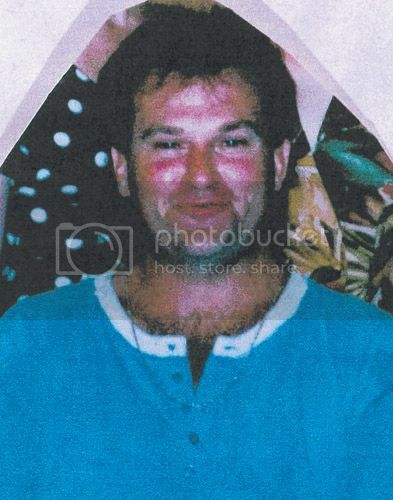 It is believed that David McWilliams, aged 39, was murdered on either 29 or 30 July 1998 by criminal associates. Information has been received that Mr McWilliams was shot and buried at an unknown location, possibly in the eastern region of country South Australia. The motive for Mr McWilliams?’ murder is believed to have been to silence him from boasting about his own and others involvement in the murder of Leo Daly, a criminal associate who allegedly owed money for drugs. The suspected murders of Mr McWilliams, Leo Daly, Robert Pendergast and 15 year old Juan Morgan are being investigated by Major Crime Investigation Branch under the title of Operation Jarrah. It is believed those responsible for killing Mr McWilliams are also involved in the murders of Daly, Pendergast and Morgan.